The Notebook On DVD Just $3.99! You are here: Home / Great Deals / Amazon Deals / The Notebook On DVD Just $3.99! 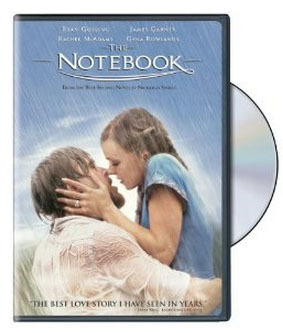 The Notebook On DVD Just $4.99! OK, chick-flick fans, I have a deal for you! Right now, you can get The Notebook on DVD for just $3.99 at Amazon! And, shipping is FREE with Amazon Prime or Super Saver Shipping! I LOVE this movie, and this is the lowest price I’ve seen for it! Don’t miss this deal if you’re a Nicholas Sparks fan! Behind every great love is a great story. Two teenagers from opposite sides of the tracks fall in love during one summer together, but are tragically forced apart. When they reunite 7 years later, their passionate romance is rekindled, forcing one of them to choose between true love and class order.